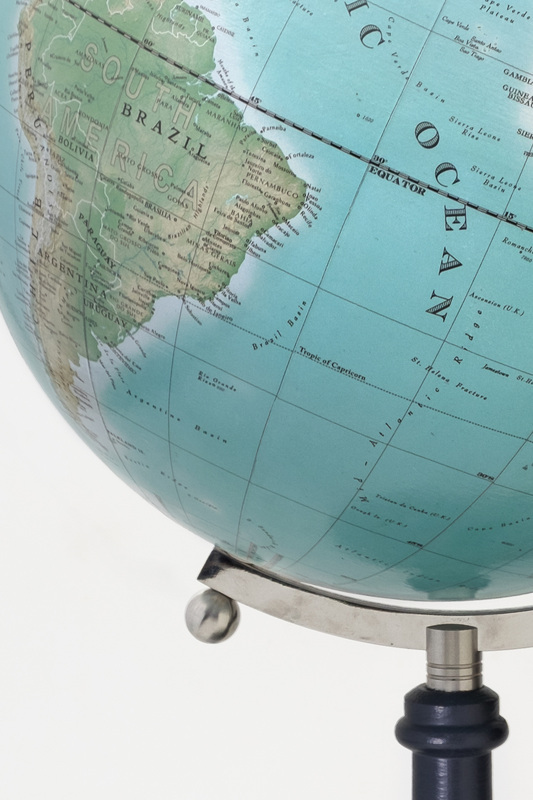 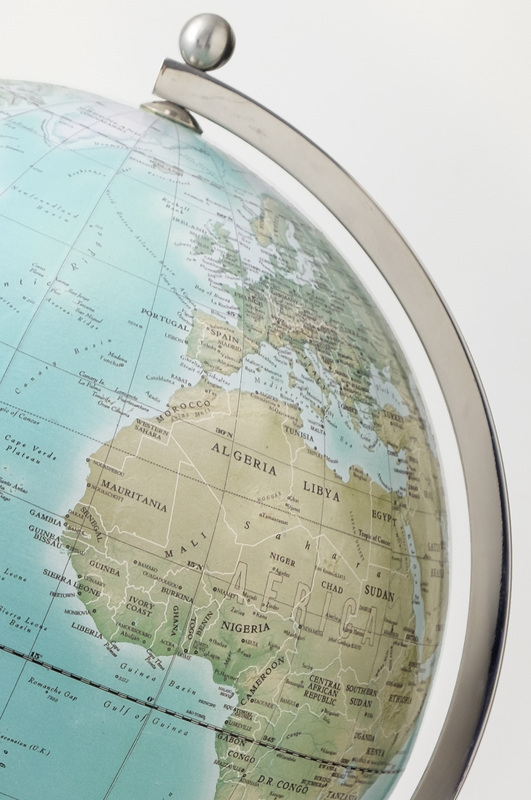 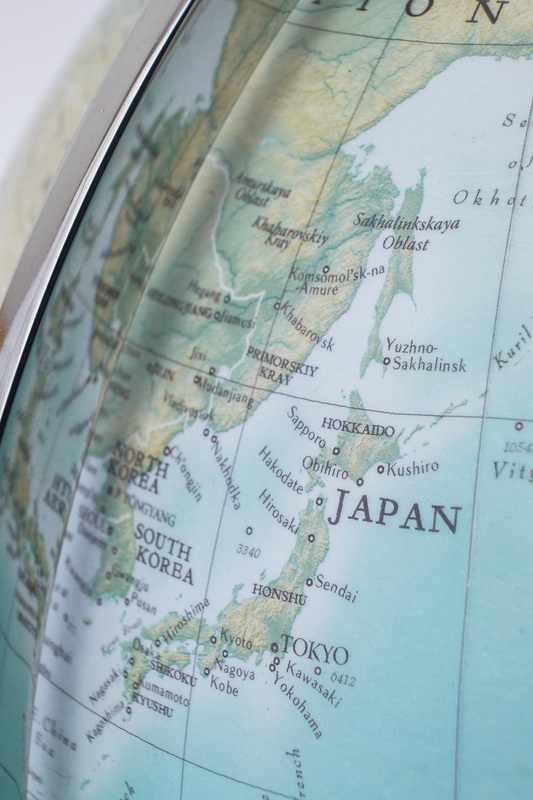 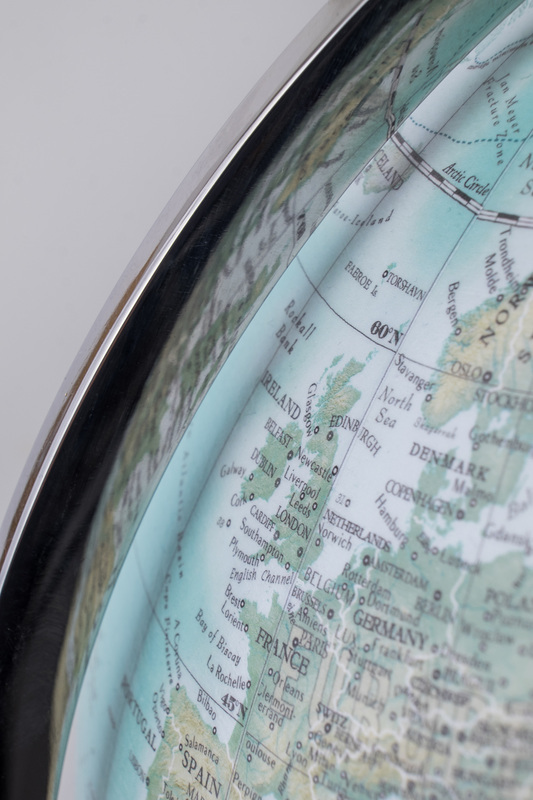 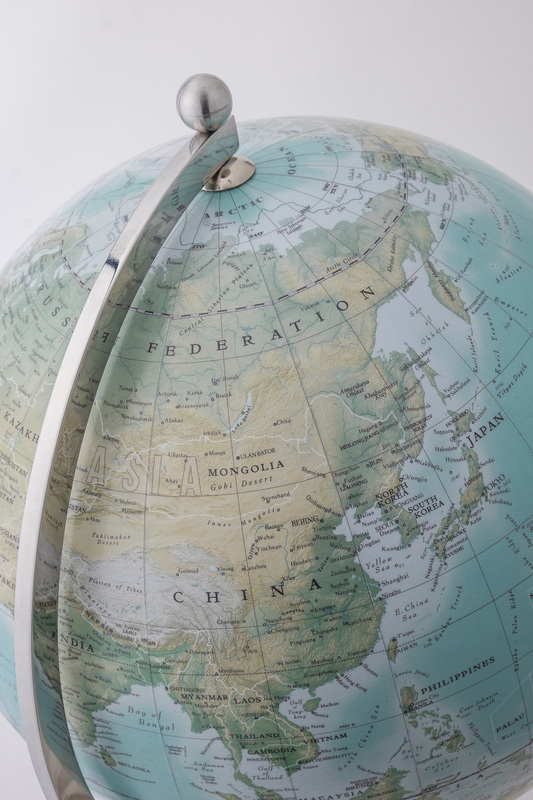 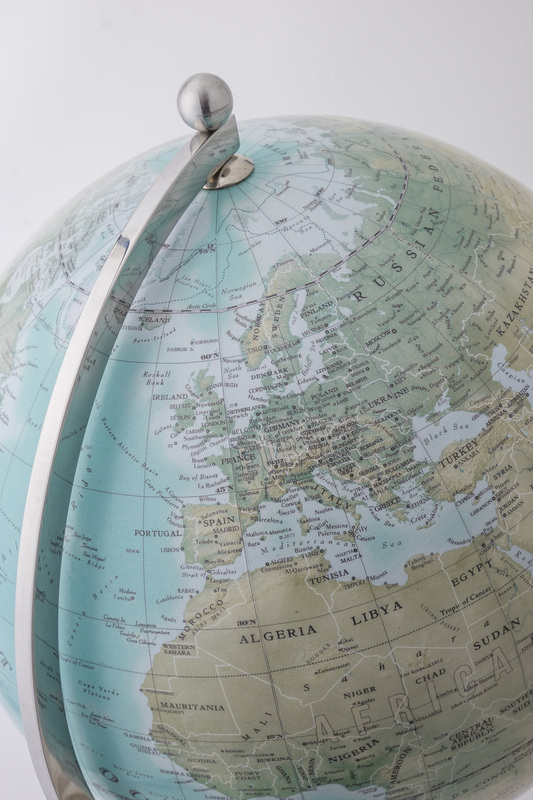 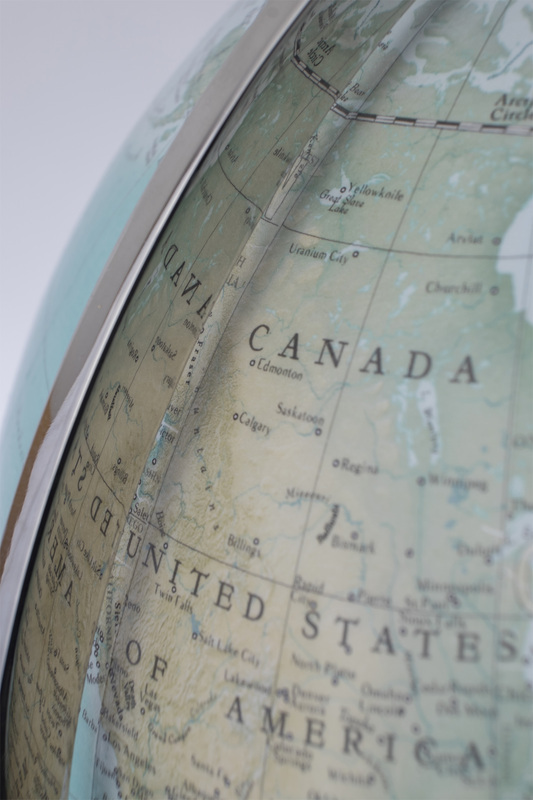 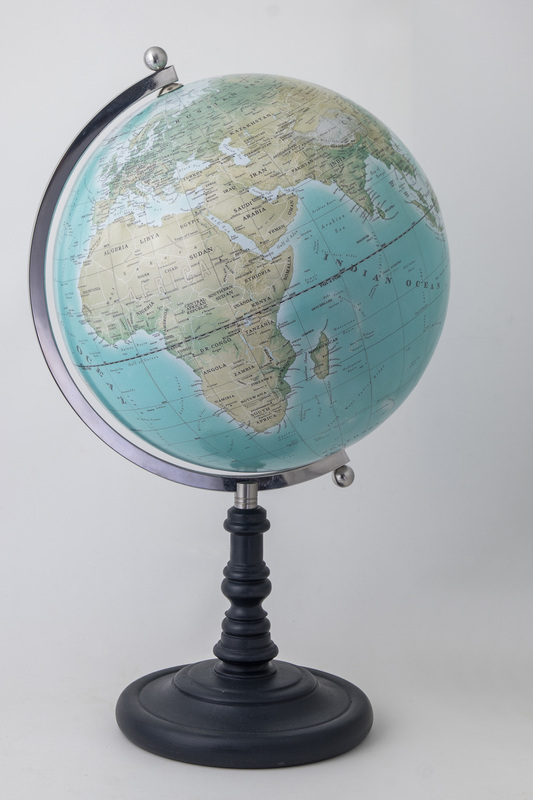 This modern and stylish 13 inch table globe incorporates the most up to date cartography and traditional construction methods. 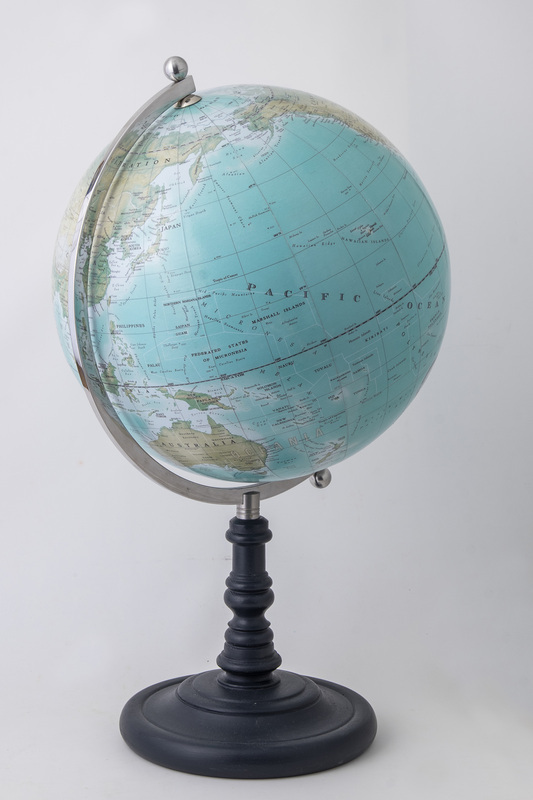 The printed map is applied to a plaster ball using the same time honoured techniques of old and lacquered to produce a high gloss finish. 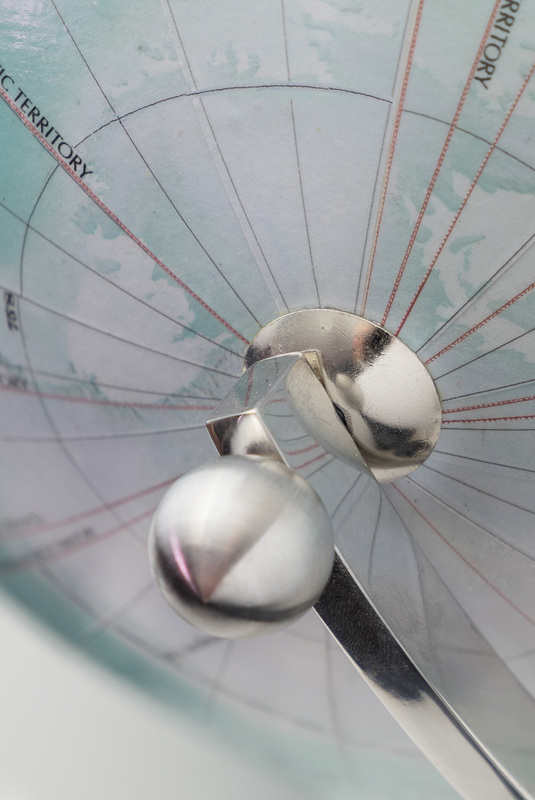 The globe sits within a polished stainless steel meridian arm tilted at 23.5 degrees to replicate the axis of the Earth. 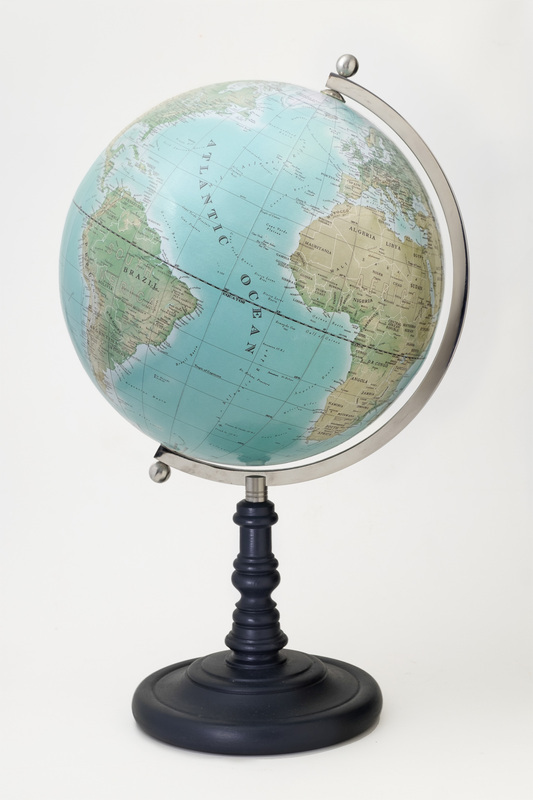 The spun wooden base and spindle is finished in a dark blue from Farrow and Ball.